Glaucoma is a neurodegenerative disease, characterized by the progressive death of retinal ganglion cells. Elevated intraocular pressure (IOP) is known to be an important risk factor for glaucoma; however, it is not the only force acting on the optic nerve. Intracranial pressure (ICP) also exerts an effect on the optic nerve head, effectively opposing the force applied by IOP. Indeed, this balance of forces creates a pressure gradient (or the translaminar pressure gradient) across the optic nerve head . 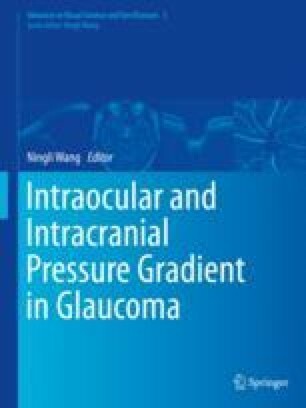 Increasingly it is thought that the pressure difference between IOP and ICP, the translaminar pressure (TLP), may be critical for the integrity of the retina and optic nerve , and thus ICP may be an important risk factor for glaucoma [2–6]. Research Collaboration Grant 501098, University of Melbourne (CTON, BVB, ZH, AJV). National Health and Medical Research Council (NHMRC) Grants 1046203 (BVB, AJV), Melbourne Neuroscience Institute Fellowship (CTON).